.Luxury is a brand new and unique Internet space made possible by the introduction of the 1000+ new generic top level domains (GTLDs) set to be introduced this coming year. This will forever change the way we search and find information online. When .Luxury opens its doors for business in January 2014, it will be the first time there has ever been an online destination dedicated to the luxury market. This means that when you type in carribeanholiday.luxury, womensperfume.luxury, or bigbrand.luxury, you’re going to have greater confidence in what you expect to find—sites truly focused on luxury. The Luxury industry is notoriously fragmented online because it covers such a wide spectrum of goods and services: travel, property, cars, jewelry, beauty, fragrances, fashion, sport, art, entertainment etc. As a result, one of the biggest frustrations for discerning consumers seeking to buy genuine luxury products and services online is how to find them through search. There are literally pages and pages to sift through. Sorting out the real, authentic luxury good is like finding a needle in a haystack. Thus, .Luxury web addresses will enable luxury-specific content to be aggregated for the first time, creating an online and easily accessible marketplace that will better serve luxury consumers’ interests. When considering the proposed new top level domains, one popular misconception amongst brands and brand builders is that they are being asked to immediately move from their vested .com, .co or country code site (e.g. 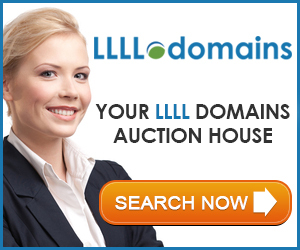 .fr,.co.uk) over to a new gTLD. While there are some that do intend to do just that and rebrand to a fantastic name previously unimaginable, others will pursue innovative, targeted ways to move into this new name space. Some brands will use .Luxury to separate their high end products from their broader product lines. Others will use it strategically in an advertising campaign, luxury promotion or in connection with a special event. A .Luxury name will be an important and powerful strategic brand tool. Boutique brands seeking to rise out of obscurity can further distinguish themselves by clearly calling out the nature or focus of their products or services. But above all, our research indicates that a .Luxury domain name will be welcomed by consumers. In a 2013 survey of approximately 400 US affluent consumers, 70% expected luxury goods and services to be found at websites using a .Luxury name. And more than half of those surveyed believed that a .Luxury name would better help them identify the best sites to look at for information on luxury products. Further enhancing the consumer experience within .Luxury will be a network of carefully managed and curated sites focused on the key segments of the luxury industry such as Paris.Luxury. These sites will assist consumers with finding relevant information, ensuring trusted e-commerce and connecting with others who share a passion for all things luxury. Equally important, the registry policies of .Luxury have been designed to be brand friendly—which will help facilitate the rapid takedown of sites identified to be selling counterfeit goods. Counterfeit and pirated goods line represented a $200 billion worldwide business in 2010 and is growing, largely because of the unregulated Internet. .Luxury will partner with brands to curtail illegal activity —further enhancing consumer trust in a .luxury online experience. Our global PR and marketing strategy includes investing meaningfully to promote the brand “.Luxury”, as well as building strategic partnerships within key category vertical websites, such as Watches.Luxury and Travel.Luxury. There seems to be great interest in the fact that we have chosen to set a higher price for a .Luxury name, but it’s not really that surprising is it? Luxury costs more, in part because there is a higher brand promise to fulfill. It is noteworthy, however, that an important element of our pricing strategy is to lower the cost of entry for brands registering through the trademark clearing house during the sunrise period. For the foreseeable future, our primary focus will be to build a true and authentic online space for the global and luxury market. As the luxury industry moves increasingly online, there has never been a more exciting or interesting time to help shape how that occurs. Own Words’ guest will be Jeffery Sass with dotCLUB. This entry was posted in - In Their Own Words by Raymond Hackney.Bookmark the permalink. It will be very interesting. Every one of the new gTLD applicants obviously has a belief that they will succeed but I think everyone will agree that 1,000 new strings cannot succeed, there’s not enough demand. Personally I think maybe 5% of them will be able to be an ongoing business while the rest wither. I don’t buy the whole counterfit point given. If someone wants a Gucci bag then they can go to the Gucci website. Gucci doesn’t need to buy a .luxury website to prove their bags are authentic, Gucci.com proves that they will are authentic. Bags.Gucci will prove they are authentic. Anybody can be a .com. Only Gucci can be .Gucci.